For some people wearing shoes without socks can be very irritating for your skin. 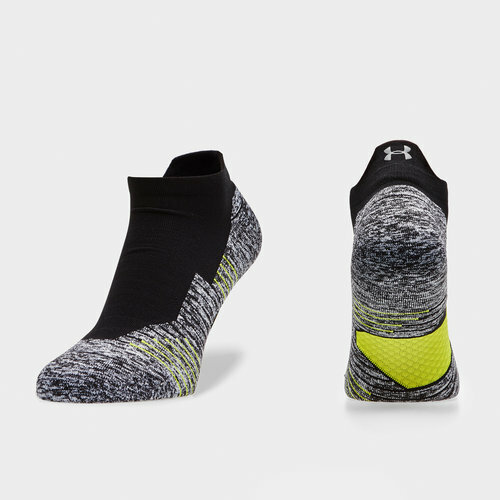 Luckily these Under Armour Charged Cushion Socks are no shows in a Black and Silver colourway so you can wear your trainers without them being seen. These socks come with strategically placed cushioning which reduces the bulking in your shoes and delivers flexibility. they also come with dynamic arch support to help reduce fatigue in your feet. There is a precision Y-heel pocket which improves the fit of the sock whilst enhancing the comfortability. These socks have been crafted with ArmourDry material that wicks moisture and accelerates evaporation.